Today's post is going to be something a little bit different. I just finished watching the two part Channel four series Undercover: Britain's Cheap clothes and I just wanted to share my thoughts after watching this. 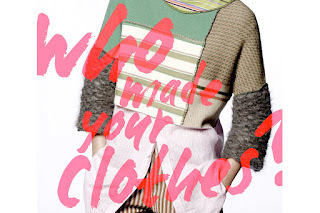 The show is two half an hour reports on the clothes made in Britain at the moment. When I think of clothes made in Britain the kinds of companies that come to mind are 'ethical' 'slightly more expensive' and ' mid market' brands such as Seasalt, People Tree, Fat Face etc these are brands I've known for years, often go in their high street stores but never purchase (my reasons why would be going off on a separate topic). As much as I know its wrong I have come to accept over the years that the high street shops I am loyal to are probably unethical and that my clothes are made unethically in Asia (again another topic I could go into more detail about). So my first shock was to actually find out that a lot of these high street brands are now producing the clothes in the UK. For some reason just hearing 'made in the UK' I / we assume that this is a great thing and its made ethically, helping our economy etc. But it became clear this is not the case. The brands looked at in this show are River Island, New Look, Boohoo, Missguided and ASOS all five of which I do own clothes from. With River Island and New look it was two particular garments being produced at random factories in Leicester so with this situation happening it is clear to an extent that this is all done so distantly from the brand and they do not investigate into the individual factories before working with them. These factories were full of fire hazards, less than half of the minimum wage and these kind of points we have come to expect from factories in countries like Bangladesh but not here. One factory manager used this point saying they have these standards because the clothing companies won't pay them any more otherwise they would go to factories else where abroad. Now with the online retailers like boohoo and Missguided the warehouses for distribution and delivery we saw inside and these conditions once again disgusted me but I didn't blame the team managers we see in the film it just got me thinking about our buying habits. Some can argue my shopping habits are very unethical which in the most part is true but its the demand we put on these companies I don't understand. When ordering some thing online (I personally still do most of my shopping in store) I expect to have a 3-5 day wait for delivery naturally but I am aware that a lot of us expect and love next day deliveries and its even become possible for brands to deliver on the same day which just baffles me, this kind of shopping clearly is where the pressure in warehouses for 12 hour shifts and extra staff being brought in because of high demand and then fired because orders went a bit quiet. The situation that I saw people working in just to get our cheap clothes that we only wear once on a night out in this country, really upset me, to the point I found myself getting pretty emotional at the end of the second episode. Why do we in this social media fashion industry expect a clothes delivery that same evening, or view it as normal to pay £10 for a dress to wear once. But I too am lost as to where else we could shop on student budgets for latest rends for this demographic. The show also ends with no answers and just questions will deciding to not order one thing in my boohoo basket make a difference possibly not? these issue lie with the mass demand but also with the government it has become increasingly harder for an individual to take action against their employers due to government changes. I also felt at the time that even though a change from minimum wage to the national living wage was great for the individual employer it is not ideally achievable for the business owner and that cuts would be needed in other areas to be able to give all members of staff this new living wage, this was noted as a large problem for small businesses such as independent hair dressers and cafes but could it be also having a effect on these much larger companies too. We all seem to be so aware of these issues with current high street fashion but no one knows how these necessary changes could happen. 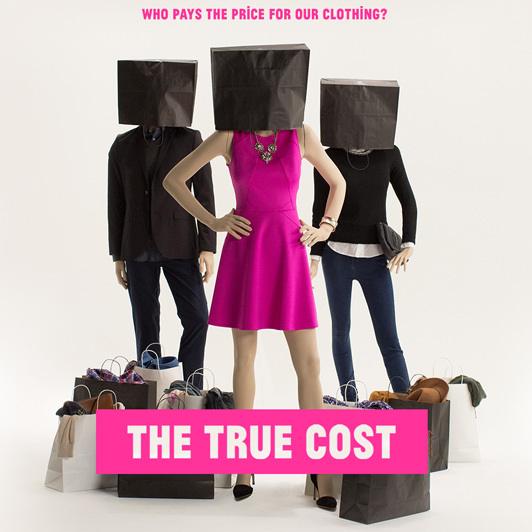 You can watch the show here ( Episode one, two) and I also recommend watching the film True cost, if you haven't already. 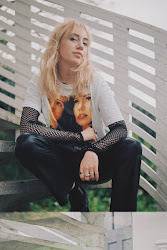 I hope to write more posts like this talking about issues ( I did it once before about the EU referendum which was received pretty well) but also this is a topic I am becoming increasingly more interested in (both ethical fashion and our shopping habits) please keep the conversation going in the comments and if you have any more shows, relevant articles of ethical companies I should look at please share.